Ergonomics is a process which you put your body in the right posture. Which can work sitting or standing and how well your body can handle the stresses. the stresses can be things like carrying heavyweight and standing with a bent back or sittings in a really bad awkward position. Gravity can increase your risk of back problem cause of bad postures. A bad posture that is not optimal, Your muscles have to work harder to keep upright and balanced. which cause the some of your muscles become really tight, inflexible, and inhabited other muscles lead to some problem. blow their some list of poor posture can cause. Bent knees when standing or walking. Head that either leans forward or backward. Back pain and back problem. Your back has a spine which keeps the body in a straight line in the front. The side, the spine should have three curves. which is one at your neck, at one at your shoulders, and one at the small of your back. this spine helps us stay upright and absorb some of the stress from activities like walking and jumping.you should be able to draw a straight line when you are standing up. if you are sitting on a chair your neck should be vertical, not tilted forward. Your shoulders are relaxed and arms close to your truck and knees should be at a right angle with your feet flat on the floor. Make sure you adjust your screen so it’s at or slightly below the eye-level and make sure all your body have support like elbows and wrists using ergonomic aids. also keeping your muscles and joints are moving is extremely important. Being stationary for long periods with good posture is can worse than regular bad posture if not moving your body. Employees have the right to privacy, meaning employee use the company equipment including computer and work phone and other devices that belong to the employer. they have the right to access information using tools also they can monitor calls made by worker and computer. BUT they can ask your own personal devices data that is your right. Employees have the right to have break time for eating and resting. it’s commonly for employees that work five or more hours and for about a half an hour. Also, If the state law does require breaks for employees, it may or may not have to be paid time. Rules regarding meal and rest breaks for minors may be even stricter depending on the state. The safety of employees also has rights and responsibilities concerning how they interact with co-workers and managers. Each employee has the right to work in an atmosphere where he doesn’t experience discrimination or harassment. In turn, the employee has the responsibility to respect his co-workers. the fair treatment gives each employee protection from retaliation if the worker reports the company for violations. Workers also have the right to receive payment for the work completed and hours spent on duty at the company. the effect of the use upon the potential market. the supreme court created the first factor. the issue is whether the material has been to help create something new or simpler copy closely another work. Ask your self the question. is this original work? can I transform the original material by add new expression or meaning? by adding the new element did it change original work to your own work? In Parody, you can transform the original by comedy style. Because the circulation of facts or information benefits the public, you have more leeway to copy from factual works such as biographies than you do from fictional works such as plays or novels. 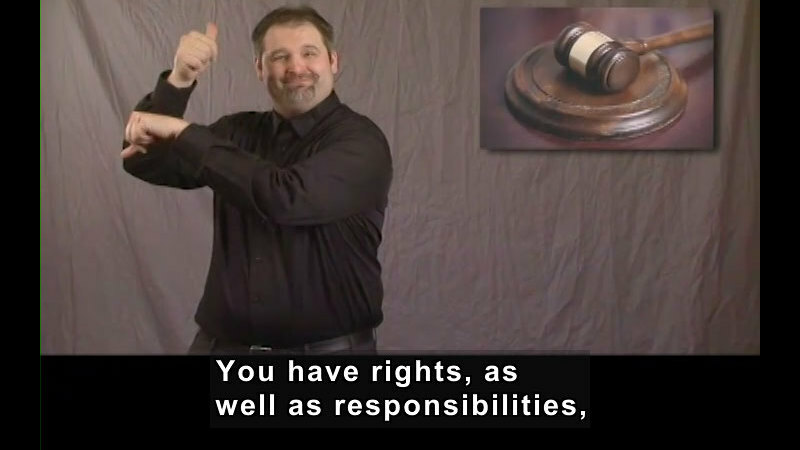 The less you take, the more likely that your copying will be excused as fair use. However, even if you take a small portion of a work, your copying will not be fair use if the portion taken is the “heart” of the work. In other words, you are more likely to run into problems if you take the most memorable aspect of a work. 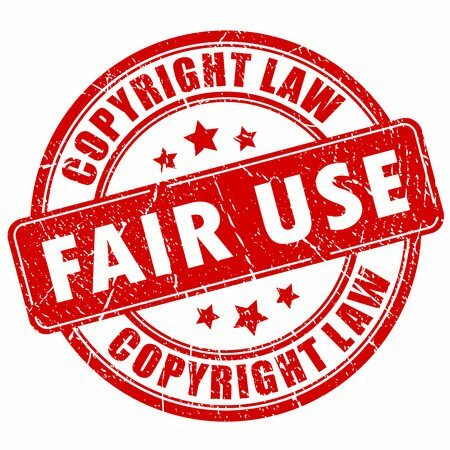 Another important fair use factor is whether your use deprives the copyright owner of income or undermines a new or potential market for the copyrighted work. Depriving a copyright owner of income is very likely to trigger a lawsuit. This is true even if you are not competing directly with the original work. Here 5 reasons you should replace your resume with an online portfolio. Professional Way To Showcase Your Work. It’s A Great First Impression For Employers. Increases Your Visibility And Online Presence. Shows You’re More Than Just A Paper Resume. Which Graphics File Format Is Best To Use When? JPEG stands for Joint Photographic Experts Group, and its extension is widely written as .jpg. The most used image file format is used to store photos all over the world.also the files format has different qualities level like low, medium, and high. Jpeg is a most common use for photos and can be used for on social media, share email, and publish on website and so much more. Since JPEG takes less space on your memory cards, you can store more images easily with this file format. Though the quality can easily be compromised in editing a JPEG image. Refrain from personal abuse. You may express robust disagreement with what someone says, but don’t call them names or threaten them with personal violence. Don’t spam. That is, don’t repeatedly post the same advertisement for products or services. Most sites have strict and specific rules about who is allowed to post ads and what kind of ads they are. Write clearly and succinctly. On a site that has many non-native English speakers, avoid using slang they may not understand. Remember that your posts are public. They can be read by your partner, your children, your parents, or your employer. Stay on-topic, especially when you’re new. Don’t post about football in a hair-care forum or about hair care in a gardening forum! Don’t expect other people to do your homework for you. If you’re looking for technical help, for example, don’t ask questions you could easily answer yourself by reading the manual or online help provided with the product. When you do ask for help, including details of what attempts you’ve made to solve the problem. It will save time and also show people that you are making an effort to help yourself. Do not post copyrighted material to which you do not own the rights. Sites vary in how strict they are about this, but as well as facing the possibility of legal action by the rights holder, you may also get the site sued. The site’s owner, perhaps assisted by one or more moderators, has the final say in enforcing the rules. Sitting down in front of a design program with all those tools and fancy styles at hand, many people often forget the first rule of web design. It can be so tempting to play, to create a page that’s an experience when you really just need a page that gets the job done. The number one rule in building a website is to keep people on the page, not to wow them with how many design elements you can incorporate. The trend in web design has been moving toward the more simplistic, an environment in which users can find what they’re looking for without a lot of distraction, and if you’re looking to make a splash with your website or score a freelance web designer job, you’ll nix these trends from your design repertoire yesterday. A high-level programming language that is interpreted by another program at runtime rather than compiled by the computer’s processor as other programming languages (such as C and C++) are. Scripting languages, which can be embedded within HTML, commonly are used to add functionality to a Web page, such as different menu styles or graphics displays and etc. These types of languages are client-side scripting languages, affecting the data that the end user sees in a browser window. Other scripting languages are server-side scripting languages that manipulate the data, usually in a database, on the server.Scripting languages came about largely because of the development of the Internet as a communications tool. 5 Different kinds of script languages. GNU, GNU Project and Linux their philosophy. Linux exists today as a free universal operating system that embodies the continuation of the culture of early computing — it is produced, maintained and distributed by thousands of people all around the world. It powers the internet and has allowed companies like Google, Twitter, and Facebook to create businesses without being crippled by software licensing costs (there are none). It runs smartphones, laptops, tablets, Kindles, and watches. It’s allowed the Raspberry Pi to bring accessible, malleable computing to classrooms and individuals without licensing costs. It runs the computers at CERN, it’s on the Curiosity Mars rover, it’s aboard the International Space Station and it runs Munich. Unless you live in a cave, you use Linux many times every day. 1. Describe what is SEO and why is important to have a “search engine friendly” website? SEO is not only about search engines but good SEO practices improve the user experience and usability of a web site. Users trust search engines and having a presence in the top positions for the keywords the user is searching, increases the web site’s trust. 2. Describe what is a web crawler (web spider or robot) and what is its function in search engines? A web crawler (also known as a web spider or search engine robot) is a programmed script that browses the World Wide Web in a methodical, automatic manner. the crawlers are used to validate HTML code, gather certain types of data from the web sites, and check links on the web page to other sites. 3. What are meta-tags? Meta tags are snippets of text that describe a page’s content; the meta tags don’t appear on the page itself, but only in the page’s code. We all know tags from blog culture, and meta tags are more or less the same thing, little content descriptors that help tell search engines what a web page is about. 5. Describe what is Spamdexing? Spamdexing is the practice of keyword stuffing or otherwise manipulating an index for a website with the intention of increasing the website’s ranking with search engines. 6. What are natural or organic search results? In the world of search engines, a natural search is one which provides results based on the natural indexing of the website or blog. This is different from the other categories of results that search engines could provide, such as inorganic or paid searches. 8. Describe and give an example of white hat SEO and black hat SEO. Black Hat SEO, Let’s start with the more villainous of the two. Marketers who practice black hat SEO are the gun-slinging outlaws of the internet because they rely on rule-breaking techniques to earn higher rankings. Some black hat strategies. White Hat SEO and Why It Pays to Be Good. The most successful brands opt for white hat techniques in their search efforts because the strategy focuses on making your site more visible through quality content and organic link building. Below are some ways you can earn a proverbial white hat. While white and black hat SEO strategies share a common goal to improve a site’s visibility, they use very different strategies. An advantage in taking a black hat approach is quick, short-term success through increased traffic, but Google penalties are becoming more and more sophisticated and can have devastating effects on your site. Considering “Google it” is a phrase most of us hear every day, can you really afford to be de-indexed? This is why many marketers are opting for the white hat when entering the wild world of SEO. Although it will take longer to see results, the strategy focuses on improving your search performance through quality content while playing nice with Google – an ally no one can afford to lose. 9. Major search engines have Webmaster Guidelines to help search engines find, index, and rank their sites? Make pages primarily for users, not for search engines. Think about what makes your website unique, valuable, or engaging. Make your website stand out from others in your field. 10.What are web analytics tools and what are their functions? 1. Compare and contrast each of the sites.? Shopify hosts over 325,000 active online shops and with its focus on social commerce and mobile shopping, the platform continues to evolve to meet the growing requirements of online stores. Launched in 2009, BigCommerce currently hosts over 55,000 online stores and is among the leading ecommerce software providers. From big names like Martha Stewart & Toyota to SMEs, the platform ideally caters to stores of all sizes. And considering the comprehensive list of built in features it offers, BigCommerce is often considered the best option for those who have little to no technical knowledge, or simply don’t have time to mess with the code. With almost one-fourth of the market share, Magento is often considered the market leader among ecommerce platforms. For its reliability and scalability, many popular brands use Magento as the underlying technology for their online stores, including Burger King, Huawei, Pepe Jeans & Liverpool F.C. This platform is considered the best ecommerce platform for enterprise level online stores. 2. Compare and contrast hosting options available for use with shopping cart software? Shopping cart software apps enable e-commerce transactions and help customers utilize deals and make online purchases. Consumers can add the items they wish to buy to the shopping cart, and in the checkout page, the software calculates the price of the products including handling and shipping charges and taxes. Shopping carts offer a variety of features, styles, and designs. If you are looking to select a suitable shopping cart software for your needs, you have come to the right place. To help you, we have listed the main features and benefits of the top shopping cart software products among which you are sure to find the right fit for your requirements. There are three main players when it comes to processing credit and debit card payments, whether online, via phone sales, or even in person. On one end is you, the business owner or merchant. On the other end is your customer. And in between is a lot of technology that connects the two of you. In order to accept credit and debit card payments from online customers, you’ll need to partner with some key players. As a business owner, it’s likely you’ll need a merchant bank (sometimes called an acquirer) that accepts payments on your behalf and deposits them into a merchant account they provide. Similarly, in order for your customer to pay for your goods and services, she needs a credit or debit card. The bank that approves her for the card (and lends her the cash to pay you) is called the issuing bank. In the middle are two technologies that enable you and your customer to transact. The first is the payment gateway, software that links your site’s shopping cart to the processing network. The second is the payment processor (or merchant service), which does all the heavy lifting: moving the transaction through the processing network, sending you a billing statement, working with your bank, etc. Often, your merchant bank is also your payment processor, which helps simplify things. Download our infographic explaining the players who help you get paid. As a business owner, it’s helpful to understand exactly how money moves from your customer to your business. There are two stages to payment processing: the authorization (approving the sale) and the settlement (getting the money in your account). 1. Your customer buys an item on your site with a credit or debit card. 2. That information goes through the payment gateway, which encrypts the data to keep it private, and sends it to the payment processor. 3. The payment processor sends a request to the customer’s issuing bank to check to see that they have enough credit to pay for your stuff. 4. The issuer responds with a yes (an approval) or a no (a denial). 5. The payment processor sends the answer back to you that the sale was approved and also tells your merchant bank to credit your account. All of the above takes place within one to two seconds. 1. The card issuer sends the funds to your merchant bank, which deposits the money into your account. 2. The funds are available. Take a look at our infographic illustrating how the money gets to you. The settlement process can take a few days. Sometimes, your bank lets you access your money before it’s even sent to them. They also might keep a portion in your account that you can’t touch, just in case the customer returns things later (called a reserve in payments speak). We’ve learned about how payments come in, but what about the other side of the coin? What will it cost? As you might’ve guessed, everyone who touches the transaction wants to get paid, including the issuing bank, the credit card association (Visa, MasterCard, etc. ), the merchant bank, and the payment processor. Another percent of the transaction amount: The credit card association (Visa, MasterCard, etc.) also charges a fee, called an assessment. Yet another percent of the transaction amount: Your merchant bank takes a cut by charging you a percentage fee. The amount here also varies by industry, amount of sale, monthly processing volume, etc. A dollar amount for every transaction processed: The payment processor (who might also be your merchant bank) makes money by charging a fee, called an authorization fee, every time you process a transaction (whether it’s a sale, a decline, or a return – no matter). Plus, it can charge fees for setup, monthly usage, and even account cancellation. Usually, the first three fees (the percentages) are all added together and quoted as a single rate, while the transaction fee is quoted separately (e.g., 2.9% + $0.30). With flat-rate pricing, you pay a fixed percent for all transaction volume, no matter what the actual costs are. All of the above fees are baked into this single rate. For example, you are charged a bundled rate of 2.9% of the transaction amount + $0.30 per transaction. On a $100 sale, the fee you pay works out to be $3.20. With interchange plus pricing, your merchant service charges you a fixed fee on top of the interchange. For example, 2.0% + $0.10 on top of a 1.8% interchange fee. On a $100 sale, that works out to be a $3.90 fee. Of course, remember that there are 300 or so different interchange fees, so the 1.8% can vary wildly! In tiered pricing, the processor takes the 300 or so different interchange rates and lumps them into three buckets (or pricing tiers): qualified, mid-qualified, and nonqualified. This makes it simpler for you (and them) to understand. However, because the processor defines the buckets any way it wants, it can be expensive. As an example, the fees you pay on a $100 sale could range from $2.50 to $3.50, depending how it has been classified. Explain how to Make the Payment Process Easy for Online Customers? It’s easy to slap PayPal on your site and call it a day – but if you’re serious about making it easier for your customers to pay and increasing sales for your business, you will want to have full control over the entire checkout process. What is https and htaccess? If you have added an SSL certificate to your domain, you can force all visits to your site to use HTTPS to ensure your traffic is secure. This page lists examples on how to do this depending on how your site is hosted. How do obtain an SSL certificate and secure transactions? The best thing about SSL is it’s simple to set up, and once it’s done all you have to do is route people to use HTTPS instead of HTTP. If you try to access your site by putting https:// in front of your URLs right now, you’ll get an error. That’s because you haven’t installed an SSL Certificate. But don’t worry – we’ll walk you through setting on up right now! What’s the difference between a merchant account and payment gateway? Merchant accounts are provided by a merchant acquirer or acquiring bank, which may also be a credit card processor. A credit card payment gateway is a crucial component to e-commerce. … If your business already accepts credit cards, you’re likely familiar with merchant accounts. Discuss the process, advantages, disadvantages, and costs associated with opening a merchant account in a presentation? he services a commercial bank can provide to your business extend beyond basic checking functions. For a small enterprise, streamlined access to lending, leasing, insurance and payroll management through one institution may offset any additional costs associated by using the bank as an intermediary. 8. Describe the process, advantages, disadvantages, and costs associated with using a payment gateway in your wordpress?with everything online these days, it leaves you with no choice but to find a source reliable enough to be dealt with through a screen without the benefit of all those old ways we were taught; like looking in someone’s eye to know how much you can trust them. Trust can not only be gained by looking deeply in to someone’s eyes, a fair choice of words coming your way could also prove their worth. Easy-Do you need additional features and a customizable checkout? Upgrade to PayPal Payments Pro and for $30 per month, you can customize your checkout in any way your business demands and accept more payment options including debit cards, phone payments, and in-person payments. Low Cost-PayPal Payments Standards can process payments from credit cards, PayPal, and PayPal Credit2 – all you pay is a standard, flat fee of 2.9%, plus $0.30 cents per transaction.3 There are no hidden fees or long-term commitments with PayPal Payments Standard. Which are the 4 different methods PayPal can accept? PayPal Payments Standard shopping cart buttons. To quickly and easily implement a shopping cart on your existing website, you can use the Add to Cart and View Cartbuttons available with PayPal Payments Standard. Are applications, set up, or monthly fees required with PayPal? One simple button lets you accept credit cards, debit cards, PayPal, and PayPal Credit. With PayPal, do you need to store and protect customers’ sensitive financial information?PayPal is safe for both buyers and sellers if they follow the appropriate security protocols like using two-factor verification, and take full advantage of the security measures PayPal offers its customer base, according to security experts. Briefly explain what happens after the customer reviews the order in your site and proceeds to check out in PayPal.? You may only withdraw the funds in U.S. dollars. In order to withdraw funds in your account held in another currency you will have to convert the currency to U.S. dollars, or it will be converted for you at the time of your withdrawal. PayPal’s currency conversion rate, including our currency conversion spread, will be used. Explain briefly if the PayPal check-out site can match the look and feel of your own site.PayPal Checkout offers several style options to customize the look and feel of your smart payment button. You can also use options to display multiple funding sources to the buyer, when appropriate. Safeguarding your financial and personal information is one of our most important priorities. That’s why we automatically encrypt all sensitive information sent between your computer and our servers. If your client doesn’t’t want to use PayPal, can you explain what other E-Commerce Hosting Services you can offer to him or her?Most small businesses we work with are service based businesses who don’t sell products online. However, that doesn’t mean that some businesses don’t have products to sell on their websites. For those who have a very small inventory, sometimes a very simple Buy Now PayPal button is the perfect solution.